What are these cancer promoters? VEGETABLE OIL/OMEGA 6 fatty acids. So what are Omega 3 and 6 fatty acids? How do I figure out what’s in my plastic? So what makes me think that a mere mortal—me—can save someone’s life? According to a recent statistical analysis, 1 in 2 American men and 1 in 3 American women will be diagnosed with cancer during their lifetime. The same trend exists with British men and women. In Israel, cancer is the #1 killer. My cousin, Red, who lives there, has an incurable blood cancer called Multiple Myeloma, which was diagnosed during a routine check up. Nobody seems to know where it came from, and yet he was exposed to many known cancer promoters. Pesticides are poison. If they kill a small organism, they will also be harmful to a larger one in higher quantities. We have constant and cumulative dosages through our food supply and so does he. Unless you are buying all organic and eating most of your meals at home, you are at risk. Read my first article in this series to understand how pesticides are implicated in many cancers. Our bodies have all been thoroughly contaminated by genetically modified organisms (GMOs), especially if we live in highly industrialized countries like the U.S. and Israel. Nearly 100% of soy in Israel is GMO and—surprise!—it’s all imported from America. Soy finds its way into nearly everything in both countries—vegan cheese and burgers, protein powders, cattle feed and even baby formula. Israelis are also hooked on American cereal which contains glyphosate-laced wheat, arsenic-rice, and genetically modified corn…infused with genetically modified sugar. My cousin used to eat genetically modified cornflakes. This is made from corn injected with a bacterium called Bacillus thuringiensis which rips open the stomach of certain insects. —the active ingredient in the herbicide Round Up—is everywhere in Israel—not just in the food supply, but in parks, school grounds, sidewalks. Its applications will likely increase with pharmaceutical giant Bayer’s acquisition of GMO Monster Monsanto: their influence and access are now more far reaching. Meanwhile, ubiquitous and relentless use of Round Up has now resulted in glyphosate-resistant “superweeds” which require even stronger chemicals to destroy. These chemicals are in your food and wind up in your body. 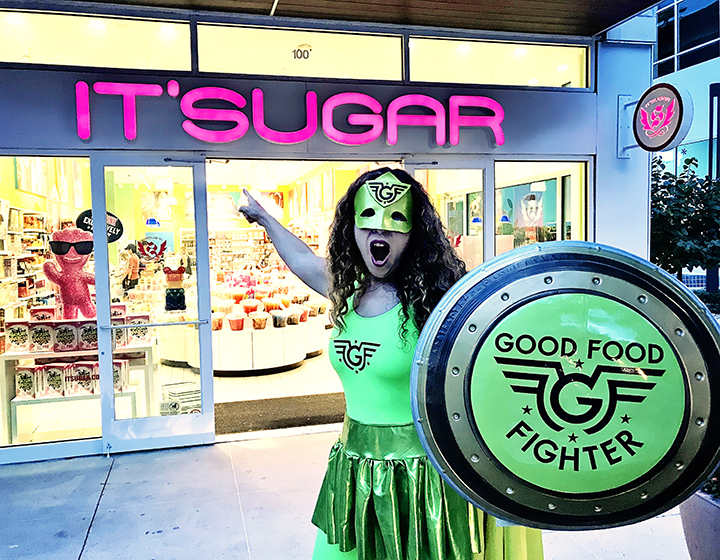 The Good Food Fighter is NOT happy. Israeli manufacturers add even more sugar to food than we do, which is hard to believe but true. Does apple juice really need added sugar? No, but you’ll find it there. You’ll also find lots of it in American cereal, which seems to have displaced Israel’s hugely nutritious traditional breakfast of salad, yogurt, and eggs. Want to find out how sugar leads to cancer? Read my three-part series here, here, and here. If you drink juice, make sure it’s from raw, organic, fresh-squeezed produce, and try to include some vegetables. Israeli Juice Gazebo: Go for it! Don’t forget ginger, fennel, and beets. If the produce is not organic, be sure to follow the guidelines of the “dirty dozen“. Here is the Israeli version. Prigat Juice Drink, 22 grams of sugar. Walk away, people! Israelis eat a lot of red meat, including Red. Last time I visited Israel I asked him if the beef there was pastured. He laughed and said, “Israel has no pasture”. Good point. After all, we are talking about the desert—all the irrigable land has been earmarked for food. There are apparently a few small herds in the Golan—the greenest microclimate of Israel—but it’s only enough to feed a tiny percentage of Israelis. The rest eat factory-raised cows which never see the light of day, much as we do here in America (although there is more access here to pastured beef). Is eating this meat contributing to disease? Is red meat generally linked to cancer? A Harvard study determined that one serving per day increased the likelihood of cancer by 10-20%, depending on whether the meat was processed or unprocessed. Conventional milk contains the antibiotics, growth hormones and the GM feed that the cow ate, but even organic is not safe. All milk contains insulin-like growth factor (IGF) which has been increasingly linked to many cancers. According to the Volcani Institute—part of the Israel Ministry of Agriculture—it is too expensive to import all the necessary grain (GMO corn and soy from America) to feed Israel’s cows, so their diet is supplemented with “by-products from the food production system”. This waste would otherwise be hauled off to the desert and buried. Not sure what’s in these by-products but it’s not part of their natural diet. 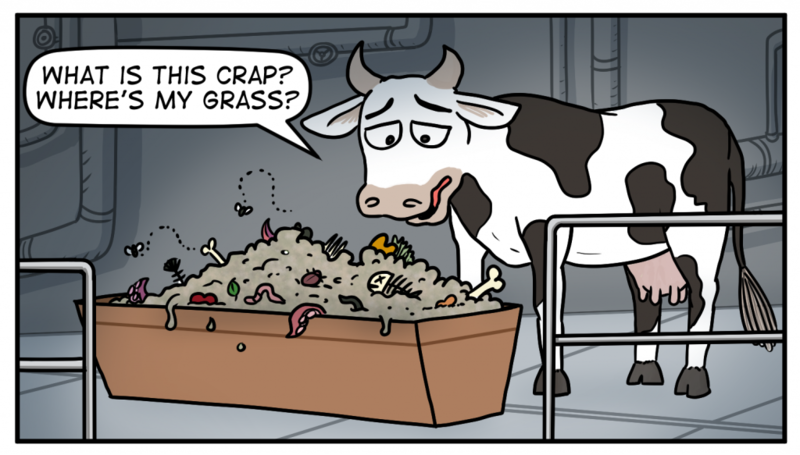 Cows are ruminants and they are supposed to eat grass. If there is no grass, perhaps Israel should consider expanding its herds of ox, sheep, goat, and deer—animals that are native to the land and designed to coexist there. Anyone like goat cheese and lamb? Yum. I recently wrote an exposé on fake olive oil flooding the American market. It turns out that Israel is also under siege. These rogue brands—mostly Italian, Spanish, and Greek—are doctored with cheaper oils and are full of additives and synthetic color. Equally troubling, industrial seed oil is displacing traditional, healthy fats. Industry propaganda has created the perception that these inferior oils—canola, corn, soy, sunflower, safflower, and cottonseed—are affordable and healthy. Their deceptive name—vegetable oil—stirs up images of farm fresh vegetables pressed into a pure and nutrient-rich elixir. But the truth couldn’t be farther off. Many of these seeds are genetically modified, they are processed with heavy metals, they are easily damaged by heat and light and so become rancid during the long process of production. Then they are bleached and deodorized to hide the rancid smell. Toxic preservatives are added to prevent spoilage. And when you cook with them they become free radicals, damaging your cells. For a more thorough explanation, read this. Most consumers—and many chefs—don’t understand where “vegetable oil” even comes from, or else they don’t care. They’re just glad to have cheap oil. Meanwhile, olives are native to the land of Israel and are one of the seven holy species found in the Bible. They have been grown and pressed into health-giving oil for thousands of years. But the explosion of cheap substitutes on supermarket shelves across Israel (and the US) has resulted in lower demand for the good stuff, even as studies continue to show olive oil’s protective role in preventing cancer. You will find the cheap stuff on dinner tables and in restaurants all over Israel. These are two types of naturally occurring fatty acids that your body does not produce but needs. Omega 6s cause inflammation—which is necessary in small amounts for healing—and Omega 3s protect our bodies from excess inflammation. For optimal health, these two must be in balance—our body needs about an equal ratio. But our current food supply is rampant in Omega 6s and deficient in Omega 3s. 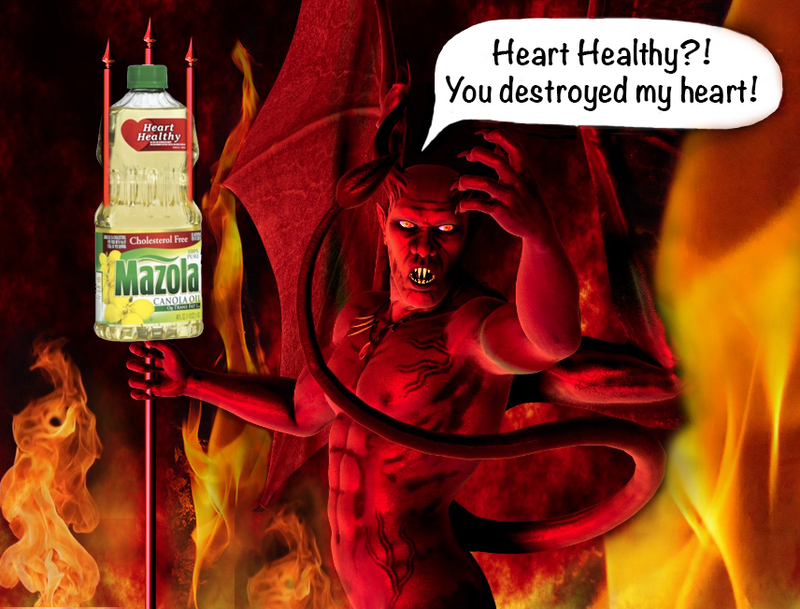 Cheap seed oils are full of Omega 6s and they are in almost all processed food. This creates inflammation in our bodies which leads to disease. Newsflash: if you’re eating out, you’re eating canola oil. Are you cooking with garbage oil? 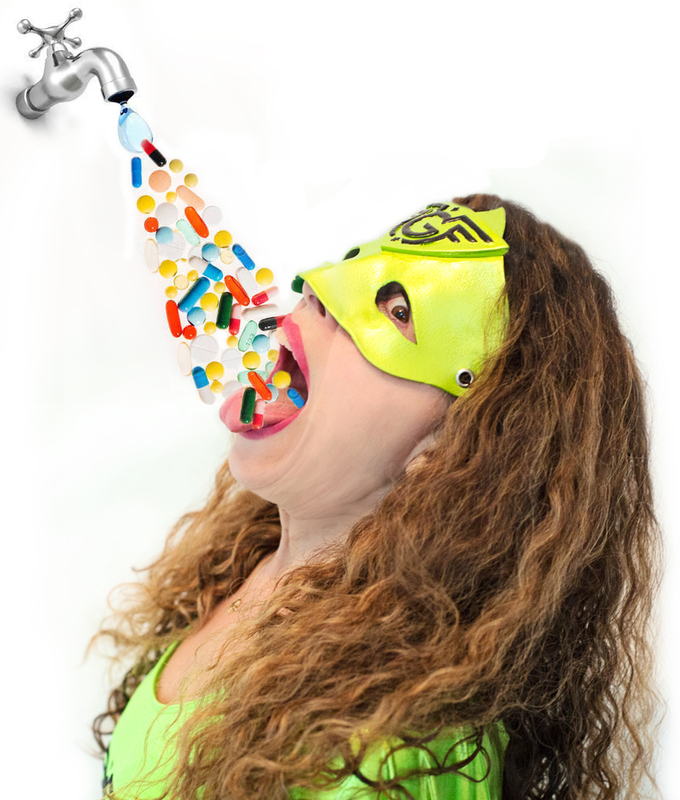 Are you ingesting chlorine and fluoride with every gulp of water? You can usually detect chlorine because of its chemical taste and smell. You can find out online if your city and state adds fluoride. Other contaminants—like birth control pill residue and heavy metals like lead, arsenic, and chromium 6—are invisible and undetectable, so you will need to do some research or have your water tested. In 2009, the Environmental Working Group found 316 chemicals in drinking water throughout the United States, 202 of which were not regulated; many others were above safe limits. According to this research, Israeli water contains its share of contaminants—at least 90 of them. Chlorine is added to all water to kill pathogenic bacteria, and this creates toxic chlorinated by-products. Fluoride—once removed due to overwhelming evidence of detriment—has been added back in for unclear reasons. This article explains many of the challenges of providing safe drinking water as well as solutions. The author recommends a range of filtration products, and—full disclosure—he sells some of them. Bisphenol-A (BPA) is used to produce plastics that have direct contact with food, like plastic packaging, kitchenware, and the inner coatings of cans and plastic bottles. There are many routes of exposure—oral, by inhalation and through the skin. Food packaging and dust are the primary culprit but healthcare equipment, children’s toys, and store and restaurant receipts also contain BPA. This chemical interacts with estrogen receptors and plays a role in several endocrine disorders including female and male infertility, early onset puberty, breast and prostate cancer and metabolic disorders such as polycystic ovary syndrome. BPA is also linked to hypertension and heart disease. A recent randomized controlled study compared subjects who drank out of glass and then plastic containers. The glass did not impact their BPA levels, but the plastic raised it 16-fold, and blood pressure rose along with it. High blood pressure raises the risk for cardiovascular disease. Most people have continuous daily exposure to BPA and—alarmingly—this chemical tends to bio-accumulate. People who eat at restaurants have a higher toxic load of BPA. Phthalates are chemicals used to make plastic flexible and as solvents in cosmetics and other consumer products. Research has linked phthalates to asthma, attention-deficit hyperactivity disorder, breast cancer, obesity and type II diabetes, low IQ, neurodevelopmental and behavioral issues, autism spectrum disorders, reproductive harm and male fertility issues. A U.S. Consumer Product Safety Commission report details its hazards. Phthalates are added to personal care products including makeup, scented lotion, shampoo, perfume, aftershave, nail polish, and hair spray. They are also found in vinyl flooring and vinyl shower curtains. Medical devices like IV bags and tubing can leach high amounts of phthalates into patients. Most plastic items in America contain numbers at the bottom to help you figure out what’s recyclable. Here’s an article explaining what they mean. The most toxic are 3, 6 and 7. But this doesn’t help you with BPA (and its new toxic replacement, BPS). No federal agency tests new materials for toxicity before releasing them into the marketplace. Best to avoid all plastic if possible. Exercise is essential for preventing and also combatting cancer. Why? Exercise releases stress hormones while producing the happy hormones serotonin and endorphins. Sweating is an important form of detoxification, especially for toxic metals. Sitting is the new smoking. Yes, really. Lots of studies are pointing to a correlation between a sedentary lifestyle and disease. Other studies show that exercise alone reduces breast and colon cancer risk by 30-40%. Why? Physical activity is also linked to a lower risk of breast cancer recurrence. Walking just 3-5 hours a week reduced the risk by 40-50%. Israelis are a pretty active bunch overall but they tend to work very long hours—mostly sitting. And then there are rockets launched from Gaza. In 2018 so far, 290 rockets and mortar shells have been fired into Israel, directed toward population centers. During these assaults, sirens blare day and night, warning citizens to flee to their basement bunkers. The military employs its cutting edge missile interceptor, the Iron Dome, to blow up the weapons in mid-air, and citizens pray that none fall on them. Just last night a missile from Gaza destroyed a home in Southern Israel. Also this year, kites were set afire in Gaza and flown into Israel with the goal of torching Israeli farmlands. It is hard to fathom how often Israel is under attack, but for an Israeli, this is just a fact of life. Living in fear, or under constant threat, activates your flight or fight hormones and then keeps them coursing through your body. Our bodies were not designed to be on constant alert. This protracted stress impacts heart function, blood pressure, hormones, the digestive system, and the immune system. In America we have stressors that Israelis do not: living in isolated units apart from our families (I live in Austin, my parents in Boston, my sister in L.A.); we often lack strong support systems; elders live in facilities and are often lonely. I visit a 97-old elderly woman here in Austin whose two grandchildren—one lives 10 minutes away—have never been to the senior home she moved to 7 years ago; they have never even called her. (Everyone there thinks that I am her granddaughter). In Israel the elderly are integrated in the daily lives of their families. In America an illness can bankrupt your family. Israel has socialized medicine—my cousin pays nothing for his medical care. In America most parents struggle to pay for college. In Israel education is free. In America, losing your job could mean losing your home. Forbes listed Israel as one of the world’s best places for unempolyment compensation. We all have stress. What does yours look like ? Is it overwhelming you or compromising the quality of your life? Don’t underestimate its impact on your physical health. Many are relying solely on the medical system, which means that they are only taking advantage of half the available treatment. Fortunately, others are actively changing their lives to increase their chances of survival. I hope that by the end of Part 3 you will be motivated to enthusiastically spring into action, to fight with all of your might, to take control. Instead of accepting what you cannot change, change what you cannot accept. Don’t accept a terminal diagnosis. At the time he was diagnosed, Red did consult a nutritionist at the complementary medicine wing of the hospital that treats him. Their instructions: eat a few key veggies like beets and tomatoes, some nuts, and avoid saturated fat and alcohol. This is barely the tip of the iceberg. I asked Red if I could enlist the expertise of a prominent PhD nutritionist in Austin who skypes with cancer patients all over the world. He recommends clinically tested natural herbs that can increase the efficacy of chemo while lessening its side effects. Red declined, placing total faith in his Tel Aviv doctors. Red is a voracious reader and a brilliant academic, yet he is unaware of his own vast capability to heal his body. Like many people, he is resistant to anything outside of mainstream medicine including doctors of integrative medicine and alternative therapies, even though they are evidence-based. I have sent Red books, articles, and videos on nutrition and holistic healing to gently encourage him. I am now consolidating huge amounts of research into bite-sized blogposts in the hopes of making the information and the call-to-action clear and accessible. I hope to reach him as well as my other friends with cancer, plus my readers, and their friends and loved ones. I want everyone to see the endless possibilities available, possibilities that could very well change the outcome of their disease. Explore the constellation of factors that may have contributed to it and consider the ones listed here. Take responsibility for your situation—if you are an adult, certain choices probably played a role, and those choices can be changed. Decide that you will overcome it. If you have a 10% statistical chance of surviving, decide that you’re going to be in that 10%. Do not underestimate the power of the mind. Resist putting complete faith into the medical establishment. 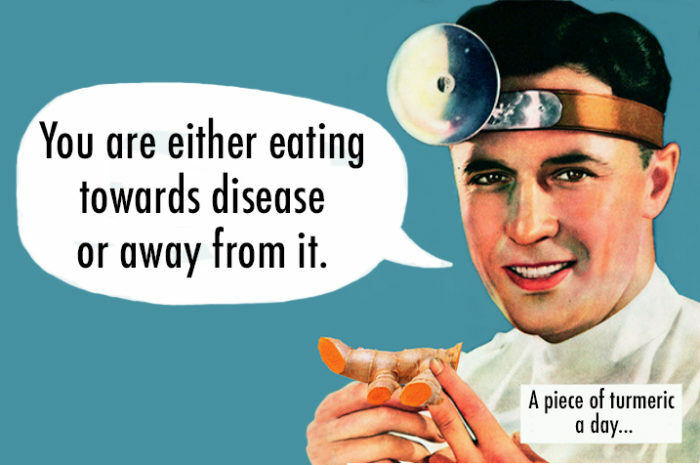 Half the cure lies outside of the doctors’ knowledge base. You must advocate for yourself and do your own research. Know that you have the power to fight cancer, but that it requires fierce, unwavering determination and a lot of work. Understand that the body can actually heal from cancer; this does not mean simply killing it, but rather, restoring yourself to wholeness. Find out in the final blogpost, Save my Cousin, Kill his Cancer, Part 3. Please share this article with someone you love who has cancer or is trying to prevent it.